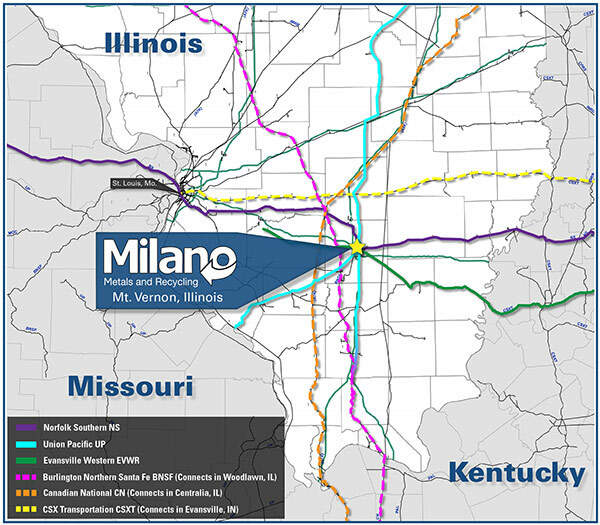 Milano Metals’ private rail yard is directly served by 3 railroads: the Norfolk Southern, the Union Pacific, and the Evansville Western Railroad. 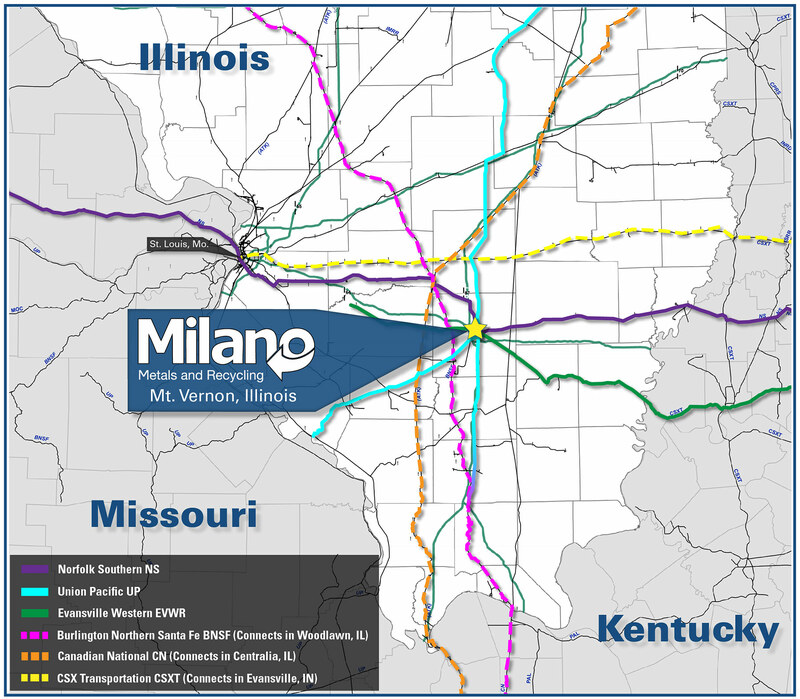 The Evansville Western connects to the Burlington Northern (in Woodlawn IL) and the CSX (in Evansville IN), and the Norfolk Southern connects to the Canadian National (in Centralia IL), giving us a unique connection among five of the eight Class I railroads in North America. We maintain our own rail scale and switch engine, enabling us to move and weigh cars in our facility.